Darnel is also called poison-darnel, white darnel, bearded darnel, and tare. The French name for it is "Ivraie," derived from "ivre" meaning drunken, as when brewed with barley it acts as an intoxicant. Darnel is an annual grass. It has smooth simple stems from two to four feet high. The leaf blades are four to ten inches long and about one-quarter inch wide, rough on the upper surface and smooth oh the lower. The flower, spike is four to twelve inches long, with four to eight flowers to each spikelet, which fits tightly into a slight curve on either side of the stalk. The seed is about the size of a small grain of wheat, it is rounded at each end, with a shallow groove on the inner surface, and is closely covered by two scales, the outer one usually possessing a short awn. The kernel itself is greenish, tinged with brown or purple. It is in bloom from June to August. Darnel is very closely related to English and Italian rye grasses, but may be readily distinguished from both in having no leafy shoots from the base, and consequently it does not grow in tufts or bunches. 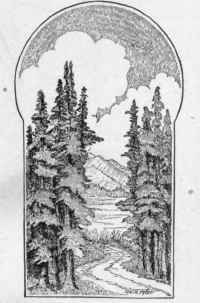 Introduced from Europe, it is now scattered throughout Canada on cultivated ground and waste places in New Brunswick, the Prairie Provinces and on the Pacific coast. 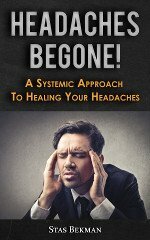 The injurious effect of darnel has been recognized since early scriptural days, as there is no doubt it was really the tares which the enemy sowed among the wheat. There are also many references to it in the classics; Ovid says "Let the fields be clear of darnel that weakens the eyes." It is referred to in one of Shakespeare's plays as spoiling the bread, and in the same connection Gerarde (1597) says: "The new bread wherein darnell is, eaten hot, causeth drunkenness; in like manner doth beere or ale wherein the seede is fallen, or put into the mault." The toxic principle seems to be only in the seed or grain itself, and has been determined as a narcotic alkaloid temuline, which Hofmeister has shown to be a strong nerve poison. Other authorities give different toxic principles, and some refer the cause of injury to a fungus which infests the seed. Esser concludes that according to most authorities who have investigated darnel the fungus alone contains the toxic substance - the temuline - and hence the grains in which the fungus does not occur should be harmless. H. C. Long, in referring to Esser's work, says: "So far as can be ascertained, there have been no feeding experiments to determine the difference in toxic character between fungus-infested and fungus-free grains. The dangerous properties are said to be most pronounced in wet seasons." The chief danger to human beings lies in the difficulty of sifting darnel from wheat and other cereals of much the same sized grain. Ground up with the flour in this way, it has caused many cases of human poisoning, although not fatal. A case is quoted by Johnson and Sowerby in which eighty inmates of Sheffield workhouse (England) were affected with violent vomiting and purging after eating oatmeal containing darnel. Darnel poisoning induces giddiness, drowsiness, uncertain gait, and stupefacation (Mueller), and in the older animals, vomiting, convulsions, loss of sensation, and death (Pott). The symptoms in the horse are dilation of the pupils, vertigo, uncertain gait, and trembling. The animal falls, the body is cold and the extremities are stiff, respiration is laboured, the pulse is slow and small, and there are convulsive movements of the head and limbs. There is rapid enfeeblement, and death may occur within thirty hours. In pigs, foaming, convulsions, and paralysis have been observed: the stomach and intestines were inflamed and the lungs congested (H. C. Long). Remedy and Means of Control: As darnel is an annual grass it should be weeded out before it goes to seed. Badly infested crops should be cut green and used as hay. Land upon which the seeds have already fallen, should not again be used for grain until the rotation has included some hoed crops. 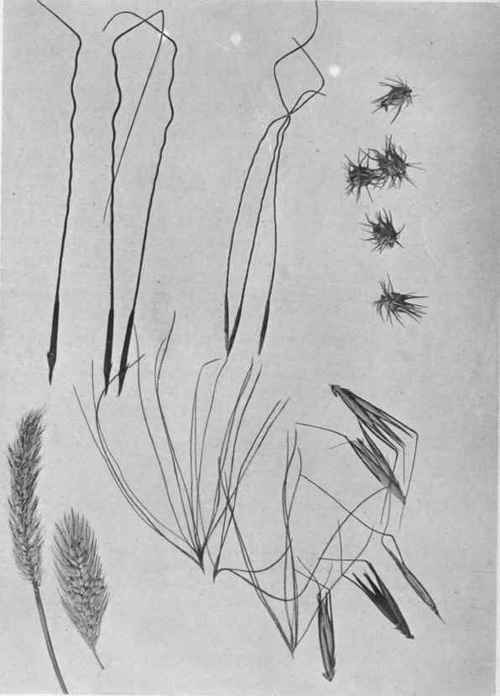 The long barbed seeds and twisted awns of the porcupine grass (Stipa spartea Trin.) and the needle grass (S. comata Trin. & Aupr.) sometimes cause serious injury and even death to domestic animals. Sheep are the greatest sufferers, as the seeds are easily caught by their wool, and finally penetrate the skin and flesh. Photo - F. Fyles. Grasses causing mechanical injury. The spines of the sand-bur (Cenchrus tribuloides L.) and the bristles of the foxtail grasses and millets (Setaria sp.) are also of an injurious nature. The sharply-pointed and awned seeds of -squirrel-tail grass or wild barley (Hordeum jubatum L.) cause inflammation and ulcerating sores in the mouths of horses and cattle. A case was mentioned by Hadwen of two bloodhounds who suffered severely with ulcerated sores and swellings in the throat caused by getting these seeds in the mouth. 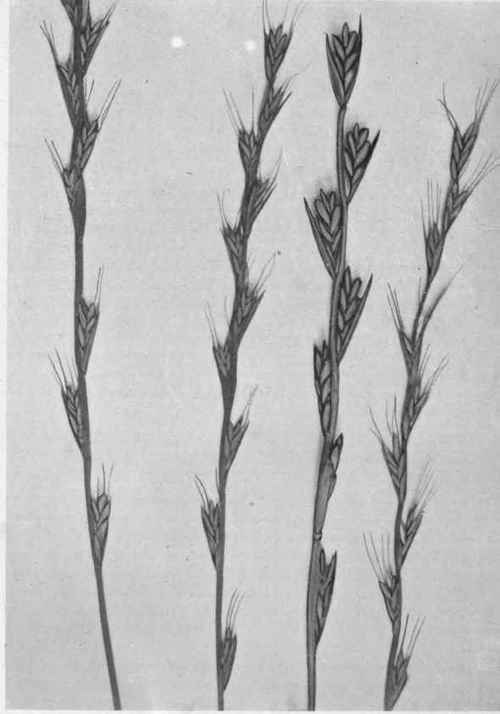 Wild oats (Avena fatua L.) possess similar barbed and awned seeds, which become embedded between the teeth of animals, and cause inflammation.